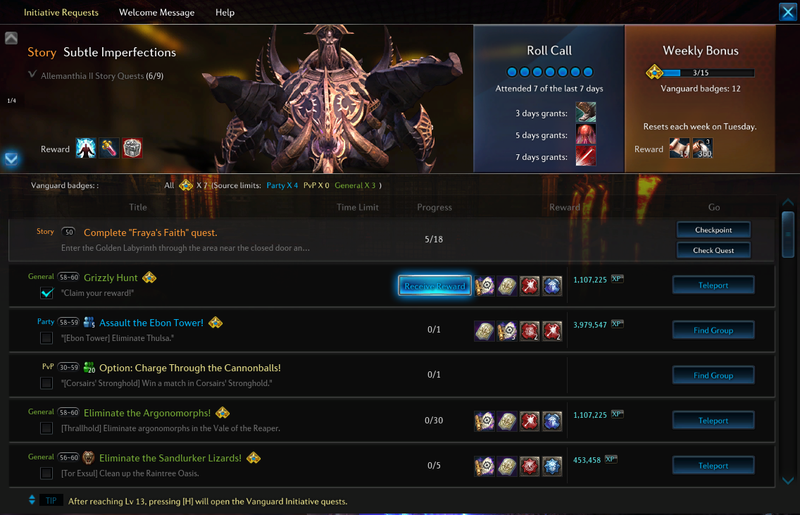 Some of my toons have reached level 60 and so can participate in the new content of the “Fate of Arun” update that arrived in Tera recently. The content begins with story quests that you are given when you reach level 60. At this point these stories begin at a new Airship Platform just outside of Velika and you begin a series of rather simple quests that lead you to the new content to deal with the new threat posed by the Archdevans. The Trip There The Airship story quests and the trip are suspiciously like the Wow quests to the new content in the Mists of Pandaria expansion. In this expansion, if you are a Wow player on the existing world, you are brought to the new world with a series of quests that give you new gear and upgrades, but the ship crashes and you have to build a beach head in the new world. The Fate of Arun quests follow a similar story line. You do a few quests to gather resources and get new gear, board the ship – a non-party instance- which is attacked by monsters and crashes on the new continent. The guided story then leads you though a start up area to the first town of Amadjuak Trading Post. New Friends and Enemies On the trip from the crash site to the first large town, you will encounter a number of new friends and enemies. The same humanoid races are both Friends and Enemies, but there are large numbers of just enemies. The entire trip is a Target Rich Environment, and in this one short trip – about an hour – you will gain an entire level. At least you will with the current double exp buff, but probably any suitable EXP buff will achieve that level. Bring a Friend or Find One The crash site is near Eerie Rise in the lake to the South East of Savage Reach, at which point you swim out of the water and begin your questing. It is best to have a party for this. While you can’t party on the Airship, you can easily party up after the crash. Most folks know that working in a party of at least 2 is best, so finding someone to party with is pretty easy. Priests, Mystics and Archers will want partners to Tank and DPS for them, and if you are anything but a Gunner, you will want someone to help you heal or DPS. It is possible to Solo this content, but it’s so much easier to party up. A party of two is plenty. More is fine, but don’t wait, move on with just two of you. You will probably want to move out of channel 1 when you have found your partner. Vanguard Initiative Requests The Vanguard Initiative Request system is apparently a response to the new questing systems that are appearing in games like Guild Wars 2, where the quests do not come from an NPC and there is no need to backtrack to turn the quests in. 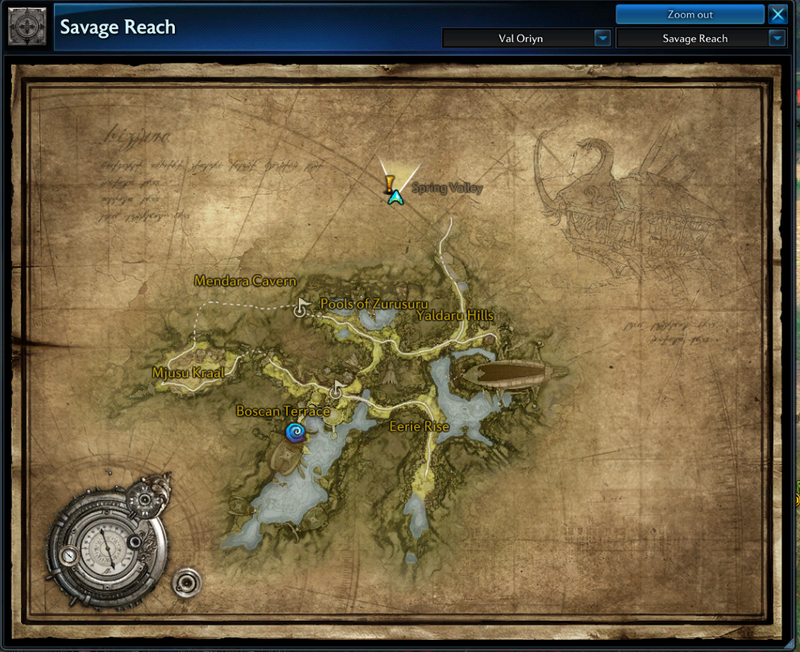 The Initiative Quests panel provides requests, and allows you to recover the rewards without visiting any NPCs. Usually they amount to doing extra work for extra rewards in an area where you are already working. They popup automatically and mark the mobs with green markers to indicate that you should continue to kill them.